28/05/15: AJ - "We are trying to attract, and have been working hard, to bring in players." Sandy Clark was certainly feeling good to be back as he joined Dunfermline for a third time. Sandy Clark returns to East End Park today (Wednesday 27th May) as Assistant Manager to Allan Johnston. Recognising the fantastic support provided to the Club over the last decade. Johnny Galloway has been at Dunfermline since under 9 and has spent the last year with the Fife Elite Academy. Three sixteen year olds signed for Dunfermline on Friday. Reece Duncan, Johnny Galloway and Robbie Crawford. "I am really looking forward to next season." The Club is saddened to learn of the death of former player Eric Bakie. The nephew of the SFA Performance Director, Brian McClair made an impact in the Dunfermline Under 20s last season. 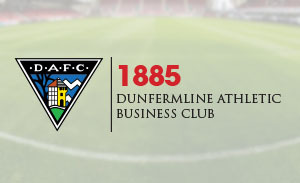 As a community club Dunfermline Athletic has to look to maximise every available opportunity. It has been confirmed that all 18 of the players who are out of contract on 31 May 2015 will be released by the club. "I think me and the club just want to put this season behind us and go again next year. The lucky winner of first prize in the Pars Supporters’ Trust Christmas raffle. 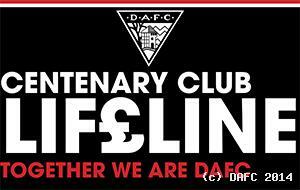 1,045 people are now signed up to The Centenary Club Lifeline, breaking the previous record of 1,040 set by the predecessor Centenary Club way back in 1989/90 season. Bob Garmory:- "The announcement is being done here in the Jock Stein Suite for a very good reason. We had in the past opportunity to hire a young manager and bring him on board and it completely transformed the future of our football club. 08/05/15: New gaffer is "absolutely delighted" to be joining Dunfermline Athletic. Chairman, Bob Garmony said that he was pleased that a number of people put themselves forward to be the new Dunfermline Athletic manager. 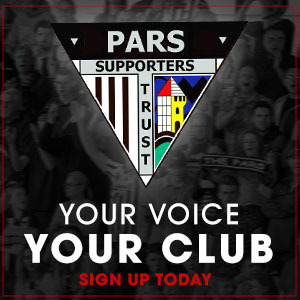 "We hope that today’s announcement will provide a welcome boost to our loyal supporters and allow everyone at East End Park to look forward with renewed optimism." "I will be out doing runs, sprints and get myself fitter and stronger. I want to hit the deck running next season, it is going to be rapid. I am going to be a monster as well!" All prices will be the same as last season. East End Park will host Legends of Rock on Saturday 30th May 2015. TICKETS ON SALE NOW! On Sunday 3rd May, six hardy souls set off from Easter Road Stadium to make the 19 mile journey to East End Park. Ryan Scully has been showered with awards as his season long loan from Partick Thistle came to an end. "Whoever is here and whoever is in charge it is a big job but we need to get the club back to where we should be." David Hopkirk says "Next year I will be trying to add goals to my game." The club's official Player of the Year event was organised by Centenary Club Lifeline. 02/05/15: Listen to the audio of opinions from both sides. SPFL League One: Buchanan and Hopkirk start in place of O'Kane and Byrne. Andy Geggan (33) 0-1; Jordan Morton (45) 1-1; Bob McHugh (46) 2-1; Josh Falkingham (59) 2-2; Bob McHugh (90) 3-2. 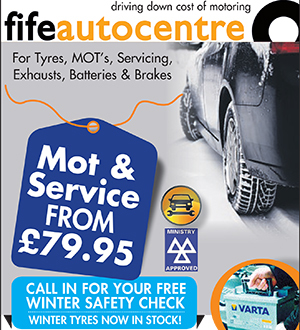 The last match of Dunfermline Athletic's disappointing season takes them to the Excelsior Stadium to face Airdrieonians. 01/05/15: John Potter spoke to the website on the eve of the last match of Dunfermline Athletic's season.